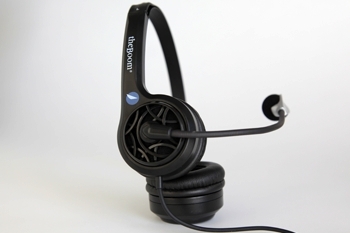 Noise cancelling headset for cell phones, office phones, landlines, computer dictation and voip. Over-the-head design with 2 leatherette padded speakers and detachable 3.5mm speaker wire for easy replacement. 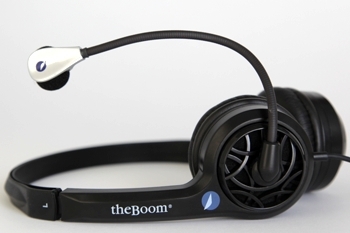 Even in the noisiest environment, theBoom C's patented noise cancelling technology delivers clear speech. You can have that important conversation no matter where you are. With theBoom "C", you will be heard loud and clear even at a whisper. Since there's no need to speak over surrounding noise, you can keep your conversations private and avoid disturbing people around you.